Welcome to our site which, we hope, will give you detailed information on our company’s goals, vision and services. We provide a full range of arrangement services for a vacation in French resorts. For more information kindly refer to the section WE OFFER . We are a group of you professionals living in France and enjoying our country strong enough to share our emotions with everyone in the world. We love France! Allow us to show it to you the way we see it and you will love it too! 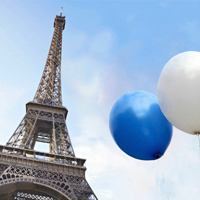 Because we know France and we are experts in luxurious vacations of high quality. With us everything is possible!